Without Lesnick, the Bruins struggled defensively as the sophomore defender went down in the middle of the first half. Santa Clara keeper Lindsey Crocker bailed the Bruins out with a sequence of multiple saves in short succession, keeping the score knotted at nil-nil through the first 40 minutes. Without Lesnick beside her, Bonelli had to lead a rather inexperienced group of defenders. 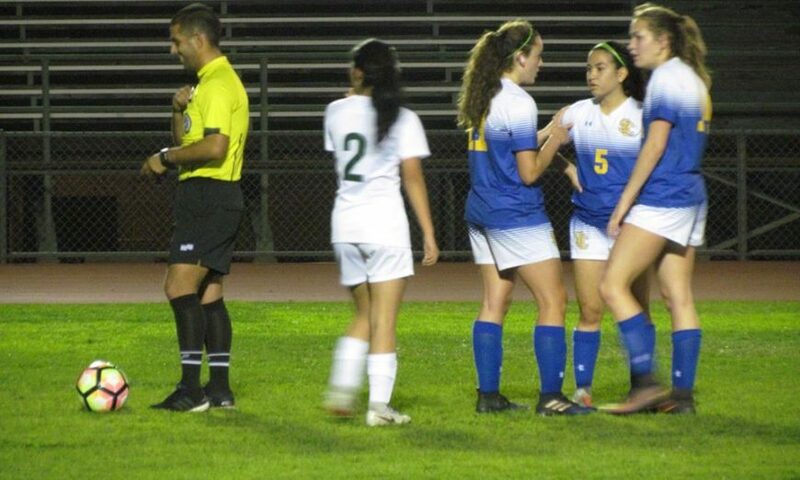 As far as possession goes, the Bruins held their own with the Mustangs. The finishing touch simply continued to elude Santa Clara. 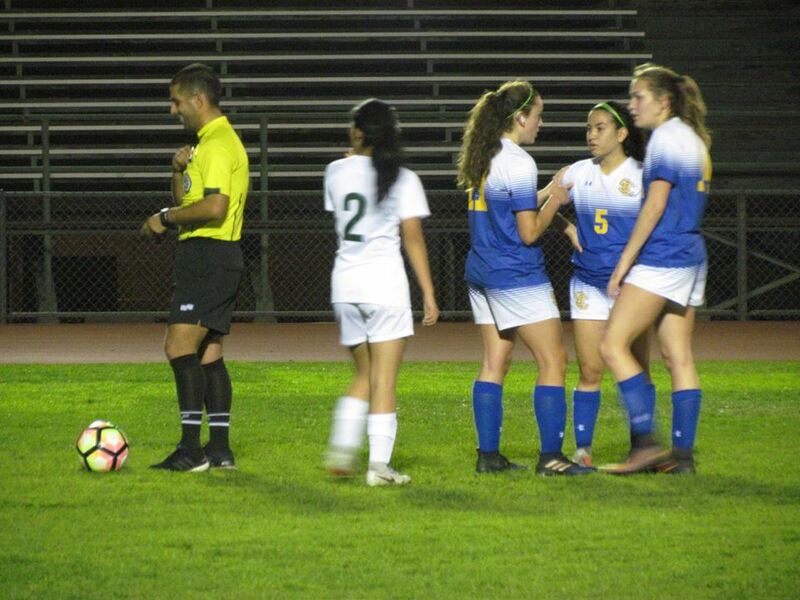 Early in the second half midfielder Leah Acevedo launched a perfectly-placed, 30-plus-yard through ball just over the defender’s head where forward Alisa Bontrager could run onto it. Instead of shooting from 20-25 yards out and testing the Mustang’s inexperienced keeper, Bontrager tried to dribble closer to the goal. Eventually the Homestead defense caught up and denied the opportunity. With the loss, the Bruins’ overall record falls to 5-5-6, but their league record is now down to 1-4-3. They have four league games remaining to try and push towards a spot in the CCS playoffs. Their next game against Fremont this Friday, Feb. 1 is basically a must-win. Santa Clara still has to face division power houses Palo Alto and Mountain View once more.